The creative centre of St George’s cultural quarter in Leicester, Phoenix Square includes 63 individually designed homes, 7 self contained offices, 22 creative workspaces, a café bar and the 3-screen independent Phoenix Cinema. 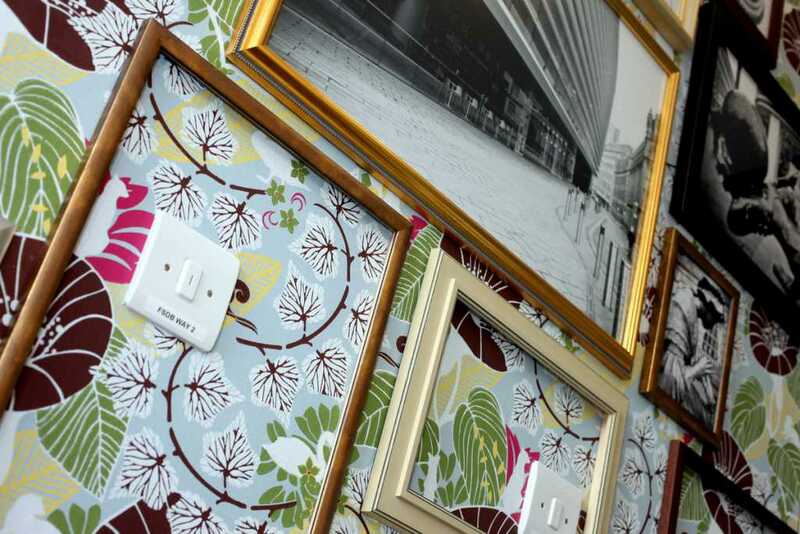 All the apartments at Phoenix Square have been issued with Energy Performance Certificates in the high B category and are designed with space in mind. 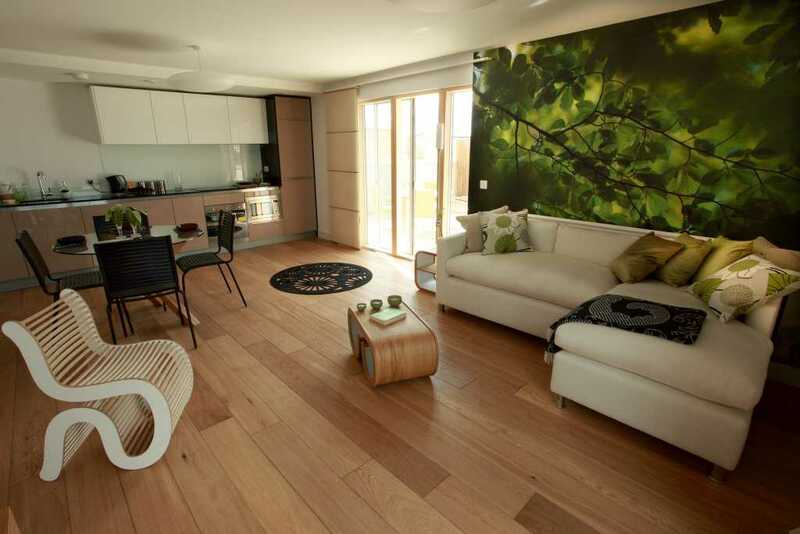 The light and airy apartments are fitted with both contemporary and sustainable features including accent fitted kitchens, modern bathroom ceramics, a range of flooring and solar supplemented heating and hot water. The stylish office studios present a rare opportunity to locate businesses in self-contained, energy efficient city centre space. Units from 1,138 sq ft provide grade A modern business space, double height ground floor, prominent street frontage and lots of natural light. Completed in 2009 in partnership with Leicester City Council and De Montfort University, Phoenix Square is a truly unique cultural building fusing together both work and play. 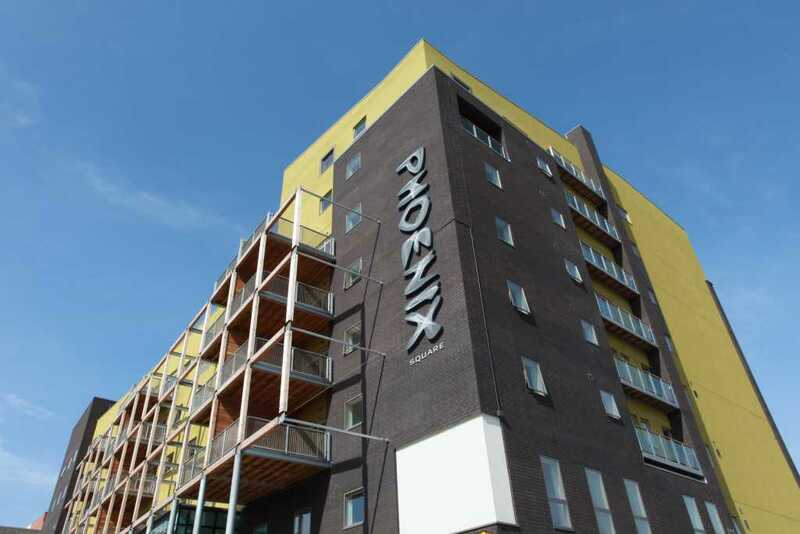 Phoenix Square is an important part of Leicester, both socially and environmentally and provides a long term investment opportunity by applying low energy thinking to large scale urban development.